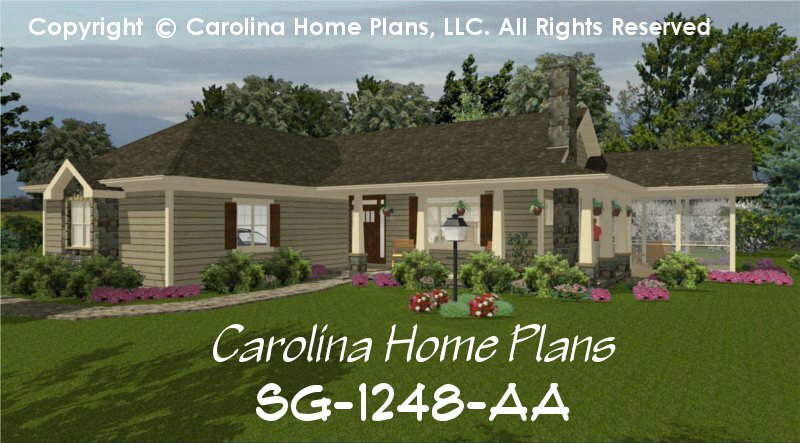 Classic styling, stone accents and gable roof lines define this comfortable 1 story small house plan. 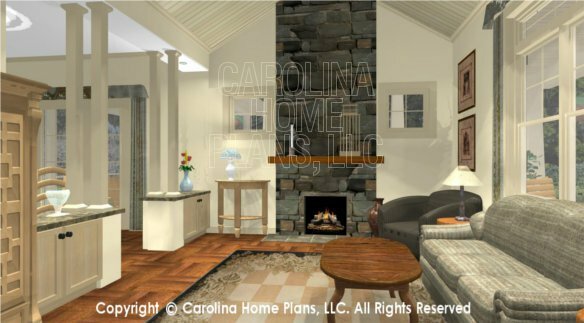 Compact, yet spacious, this 2 bedroom, 2 bath, country home plan features 9' ceilings throughout, as well as a vaulted ceiling living room with fireplace and built-in cabinets dividing a large dining room. The well equipped kitchen boasts a booth style eating area. 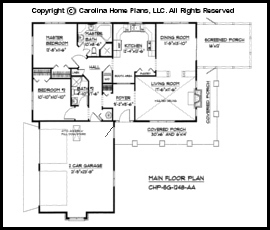 This efficient small floor plan layout provides both main level laundry and 2-car garage with attic storage. The beautiful wrap-around covered porch and large screened porch maximize the living space for relaxation and enjoyment. 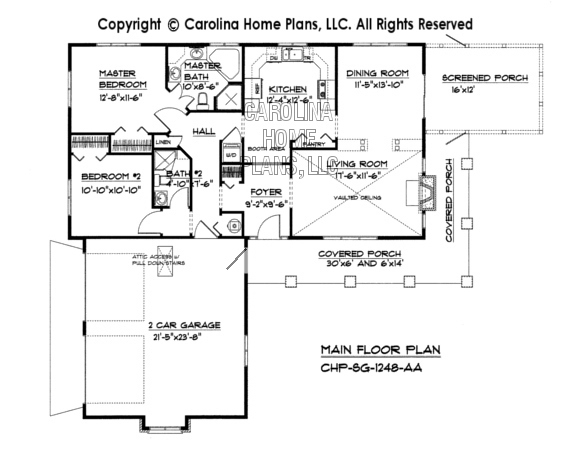 This small house plan comes with a crawl space or slab foundation; however, it can easily be converted by your builder to a full basement if necessary. 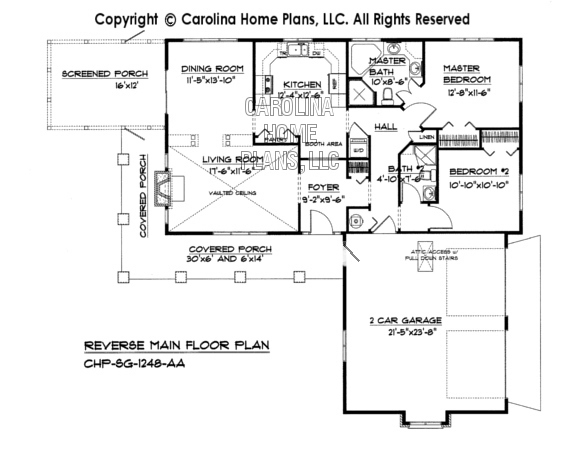 This small home floor plan is designed for ease of mobility and aging-in-place, as well as being ideal for downsizing for those seeking compact comfort. Available options and pricing: See below.